This post will touch on some of the legal issues. While the letter bears Phillippe Diaz’ signature, there are many reasons to attribute the letter to the influence, if not direct involvement, of Andrew Wakefield. First, Andrew Wakefield has threatened litigation just in that way in the past – for example, threatening scientist and autism advocate Emily Willingham, and other critics like Brian Deer and the journal BMJ in a very similar way. Second, the letter responded to criticism not of Cinema Libre but of statements made, mostly, by Andrew Wakefield, Del Bigtree and Polly Tommey. Third, the letter expressly focused on comments against the filmmakers, and also demands that Ms. O’Leary refrains from criticizing Andrew Wakefield’s and Polly Tommey’s video production company, Autism Media Channel – and there is no reason for Mr. Diaz, acting alone, to protect Autism Media Channel. It’s impossible to know for certain, of course, but there are grounds to suspect Andrew Wakefield had a hand in leading Mr. Diaz to follow Wakefield’s usual pattern of trying to silence critics with threats of litigation. Why has the Vaxxed distributor threatened Ms. O’Leary? She is hardly the only person to criticize the Vaxxed team or Autism Media Channel. In the past, our esteemed host has called Andrew Wakefield a fraud and Vaxxed a fraudumentary. Orac has also heaped criticism on the movie and its creators. Matt Carey, autism dad and scientist, has been as scathing. I myself have pointed out Andrew Wakefield’s dishonesty. None of us got a letter threatening litigation, even though Orac, for example, likely has much broader audience than Ms. O’Leary. Of course, we can only speculate, but there are two possible arguments, I think: venue and person. Either Ms. O’Leary got a letter because she’s in Ireland and libel laws are more plaintiff-friendly than the United States, or because she appeared more vulnerable – maybe because she’s a woman (but then, I am too), or because she is a mother and autistic and whoever decided to threaten her thought she would be an easier target. If that was the view, it was sorely mistaken. Ms. O’Leary made it clear, in her video, that she will not be silenced. There is a good chance that, like Andrew Wakefield’s threat against Dr. Emily Willingham and others, this will go nowhere. But we cannot be sure of that, and I’m going to analyze this as if this was going ahead to a lawsuit. I think examining the letter and the context suggests that rather than an honest attempt to defend reputation against baseless attacks, this is an attempt to silence a critic the writer – and the Vaxxed team – cannot respond to on the merits. Furthermore, a group of Australian anti-vaccine activists joined in the attack on Ms. O’Leary. While they did not send a threat to her, one of them put up a petition ostensibly aimed at the Irish government asking them to silence Ms. O’Leary. At the point of writing the petition had 73 signatures, and the comments were all from Australian and New Zealand activists. The petition is, well, impractical. The Irish government is unlikely to try and silence an activist like Ms. O’Leary, and certainly not at the request of a small group of foreigners. While the intent is clearly negative – to harass and attack Ms. O’Leary – I doubt Ms. O’Leary has much to worry about that. If a suit is brought, where will it be brought? 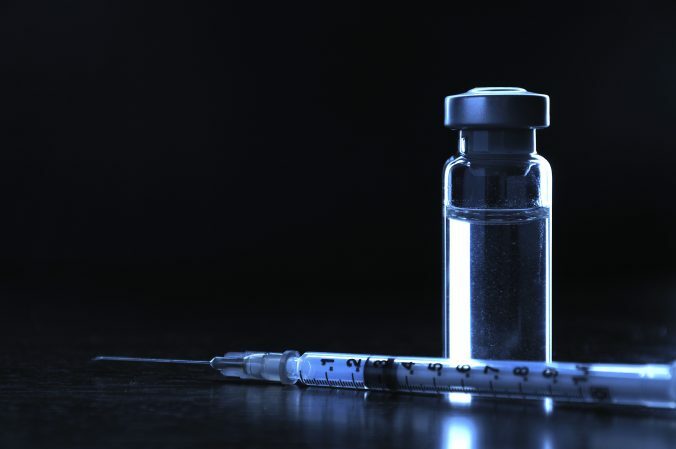 Unlike Andrew Wakefield’s attempt to sue Brian Deer, the BMJ, and Fiona Godlee in Texas, a suit dismissed for lack of jurisdiction, there are options. To remind you, the rules about jurisdiction are in place to prevent certain abuses of the legal process, and their focus is to protect defendants from being forced to litigate in forums that will pose substantial hardship. Because the focus is to protect defendants from forum abuse, suing in the defendant’s home area is permissible or even desirable. In other words, if Diaz decides to pursue a claim in Ireland, where Ms. O’Leary resides and where she recorded her video, there wouldn’t be a jurisdiction problem. Of course, litigating abroad will require local counsel and might involve more expense to the plaintiff. On the other hand, Ireland’s libel laws are more plaintiff-friendly than the United States’ laws, where the First Amendment makes suing for defamation of public figures over a matter of public concern very difficult. On that, a little later. Alternatively, because Ms. O’Leary created a petition asking the Texas AG to act, she can probably be sued in Texas, too. Winning in Texas will be harder. First, United States law offers strong protections to defendants criticizing those acting as public figures, as these are. Second, several states have, in the past, adopted laws designed to prevent suits aimed at silencing critics, known as anti-SLAPP (Strategic Lawsuit against Public Participation) statutes, that can stop such suits at the outset and impose costs on defendants. Texas has a robust anti-SLAPP law that will operate against the plaintiffs, but trying to defend a suit there may impose substantial hardship on Ms. O’Leary. However, since there are organizations in the United States that may help defendants in this situation – he law blog Popehat has a history of doing so, for example – there may be advantages to her too. And since, as I explain, even under Ireland’s law this suit is weak at base, and there is reason to suspect part of the goal of a threat like this is to intimidate and harass the critic, chances of winning may not be the most important thing. A few basics. And I would urge Ms. O’Leary to read Popehat’s wonderful discussion of what to do when threatened with a defamation lawsuit. First, only untrue statements of facts are defamatory. A common definition of defamation is a false statement of fact that subjects a person to hatred, ridicule or contempt. Opinion, satire, etc., are not defamatory – though there can be debates, for example, about the line between fact and opinion. This is just as true under Ireland’s law as that of the United States. Second, under United States law, since the Vaxxed team includes people who have “thrust themselves to the forefront of particular public controversies in order to influence the resolution of the issues involved,” they are likely limited public figures for the purpose of their statements. This means that in the United States they will bear the burden of showing that Ms. O’Leary’s comments were untrue and uttered with malice: she either knew that they were false, or recklessly disregarded the possibility that they were false (id). In Ireland, on the other hand, the burden will be on Ms. O’Leary to show that the statements were true. In the United States, chances are that the malice claim will be an insurmountable barrier: in fact, the evidence is that Ms. O’Leary is extremely sincere in her criticism. If Mr. Diaz could point out to a specific thing Ms. O’Leary said that was defamatory, I’d expect he would do so. As it is, the threat doesn’t. I’m not going to do his work for him, so I too will address the petition and the video in general terms. Both the petition and the video call out certain statements made by the Vaxxed team – and add Ms. O’Leary’s very negative opinion of those utterances and the movie more generally. In other words, we have a combination of well documented – in fact, videotaped – behaviors ascribed to the Vaxxed team, and Ms. O’Leary’s interpretation of why they are bad. A combination of true statements and opinions doesn’t make a serious defamation case, even under Ireland’s more restrictive law. In other words, until Mr. Diaz can point to a specific statement that he can make a case is a false statement of fact that can subject his company, or one of the others he is defending, to hatred, ridicule or contempt, this reads like a very weak, badly based legal threat. The letter also demands that Ms. O’Leary immediately “cease and desist from interfering with the distribution of the film” – probably referring to her petition, but possibly her opposition to the film coming to the UK and Ireland. It’s unlikely the petition will actually prevent distribution of the film in any way, and there certainly is no evidence that it did, and calling out against bringing the film to Ireland is an exercise of Ms. O’Leary’s public speech – a counter to calls to bring it. We will have to see where her attackers – who are, ironically, claiming they are being silenced while trying to silence her – go next. If you want to do more, in his post criticizing this, Todd at Harpocrates Speaks suggests several tactics. At a minimum, give Fiona O’Leary your strongest possible support.